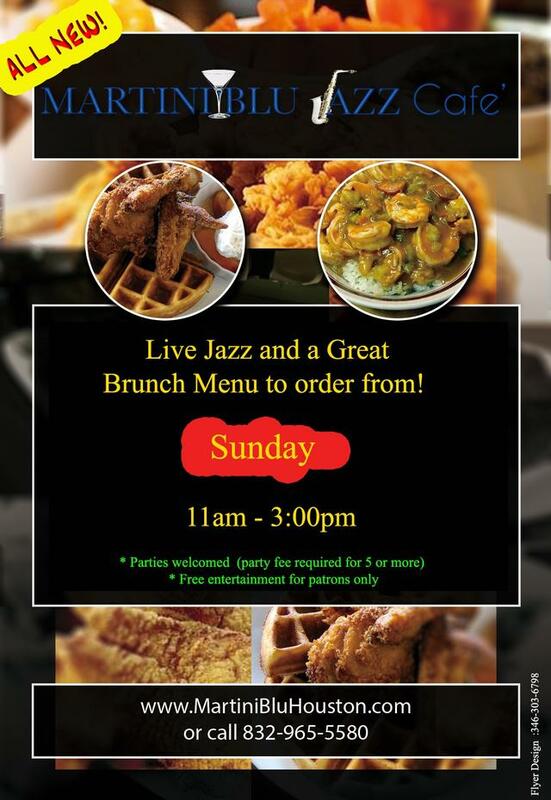 Come on out and enjoy our Sunday Jazz Brunch!! You can order anything you want from our BRUNCH MENU! You will be able to enjoy the delicious food, drinks and Jazz all at your own pace! The Sunday Brunch Menu is open from 11AM to 3:00PM! SPREAD THE WORD!! PARTIES ARE WELCOMED! FREE LIVE JAZZ DINING is offered to all Martini Blu Jazz Cafe Patrons. All patrons are subject to a minimum order.